Jackie Hutter, MS, JD is a globally recognized Intellectual Property Strategist, business couselor and Registered Patent Attorney. In 2008, Ms. Hutter established herself as a pioneer in the emerging area of Intellectual Property Strategy consultation. She quickly became recognized by her peers for her unique voice and perspective on how innovative companies can enhance value capture from new product and technology development using IP in more strategic ways. She has almost 20 years experience counseling corporations, universities, entrepreneurs and investment professionals in all facets of IP protection. 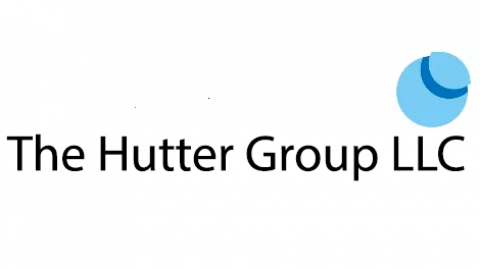 Ms. Hutter is Founder and Principal of The Hutter Group LLC, an innovative legal services practice model for forward-thinking small and medium enterprises that recognize that when IP protection is key to creating durable competitive advantage, an alternative to the traditional outside IP counsel model is needed. Ms. Hutter provides in-house IP counsel services on a part-time (or “fractional”) basis for a variety of clients ranging from a Fortune 500 consumer hardware company, a large alternative energy provider, a computer vision startup, and a number of medical device companies. For each of the last 7 years, Ms. Hutter was named one of the 300 top IP Strategists in the world by Intellectual Asset Management magazine. In addition, Jackie was named a SuperLawyer® in IP in Georgia in 2004, and she is a frequent speaker on IP strategy to business and legal professionals. Prior to founding The Hutter Group LLC, Jackie was Senior Patent Counsel at Georgia-Pacific LLC, where she had sole responsible for Dixie® patent matters and, later, the company’s Chemicals business. Before joining Georgia-Pacific, Jackie was a shareholder at the prestigious IP firm of Needle & Rosenberg, PC (now Ballard & Spahr), as well as a litigator at a large Atlanta law firm. Jackie earned an M.S. in Pharmaceutical Sciences and she spent several years as practicing chemist at Helene Curtis (now Unilever). Jackie lives in Decatur, Georgia, in a groovy mid-Century modern house with her husband, 2 daughters and far too many pets.